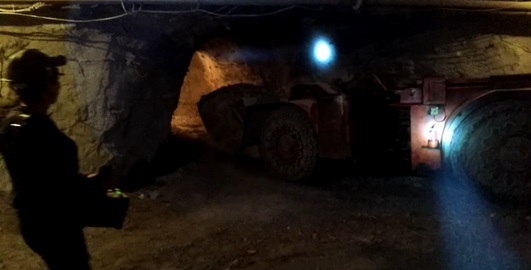 Since Lijiashan project of 9X Mineral Co.,Ltd started running, in order to ensure the safety of our employees, we began to apply Radio remote control system on LHD in mine at the same time. 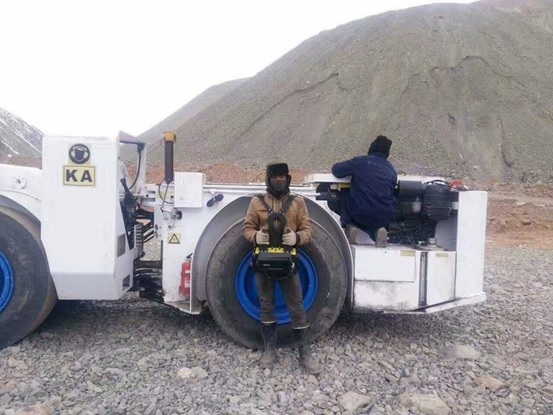 With the application of System, it did greatly improve the safety of mining process, and meanwhile it has reduced the labor intensity of the workers, reduced the cutting capacity and has improved the recovery rate of the stope. The radio remote control system consist of transmitter, receiver and electrical interface. The operator uses the transmitter to control device, the transmitter is portable, easy to carry, battery powered. The operator can move around, adjust their angle of view, to ensure the normal operation of LHD loader transport and unloading. Remote control unit casing and accessories as shown in Figure1. The panel layout and its icon according to different models can be customized design, main device, such as remote control handles, toggle switches, etc. It is imported from abroad, ensure the reliability and stability of the products. 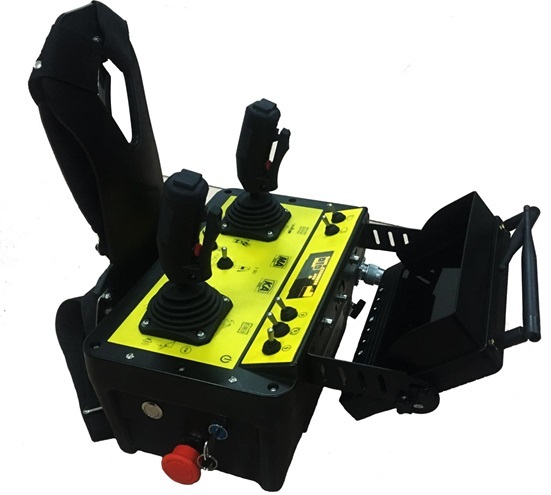 Remote control unit User-friendly strap and back plane design, make the operator more comfortable, remote control more flexible. The receiver is installed on the LHD loader body, and is connected with the equipment through the electric interface component. The output signal of the receiver is connected with the electric interface component, and is sent to the logical thread head or the instrument panel head through the signal of the electric interface component. The control device of the instrument panel head can control various control functions of the instrument panel area, and the logic thread controls the mechanical function of the equipment through the logic solenoid valve. 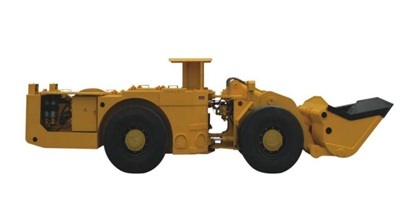 The vehicle mounted receiving unit casing and accessories are shown in Figure2. The panel layout and its icon design according to the actual needs of the manufacturers, overall enclosure design, waterproof, dust-proof, in accordance with the above standards IP54. Transmitter and receiver communicate via radio. For security reasons, the signal between the transmitter and receiver must match each other. At the same time, the transmitter has a LCD display, which is to monitor the working status of the remote control system. 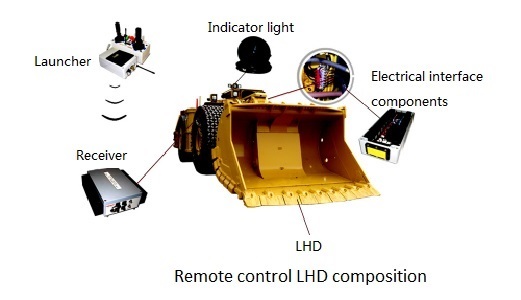 If the LHD loader or remote control system fails, the system will send a warning message which will appear on the display, prompting maintenance personnel to repair the remote control system. 4-Way Digital Input Signals: remote manual switch, brake detection, neutral detection and alarm detection. 1.LED status indication, under voltage, overvoltage, communication, electric quantity, etc..2.Ultra low power design, when the battery is full, can be used continuously for 24 hours. 3.Transmission stability, the use of FEC forward error correction algorithm, proactive corrective disturbed packets, strong anti-jamming ability,communication distance is greater than 1km. 4.IP67 level protection, suitable for harsh environmental conditions and extreme operating temperatures (-40 degrees C... +85 C), damp proof, shock proof, suitable for industrial environment. 5.The controller uses 72MHz ultra modern 32 bit technology, real-time operating system, high electromagnetic compatibility (EMC), input / output band fault detection function, pulse width modulation (PWM) electromagnet current closed loop control. 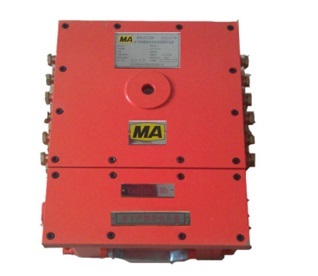 7.Hydraulic system, the use of the United States SUN high precision proportional solenoid valve. 8.Engine temperature, oil pressure, brake pressure and other alarm instructions. 9.Emergency brake immediately stop, stable and reliable. 10.Start the braking interlock, parking brake can be allowed to start, to avoid accidents. 11.The function of self-imposed brakes, handle in the middle position, the brake automatically imposed. 12.Throttle control amplitude adjustable, all models linear proportional control. Eight Functions Which can be upgraded to meet the various needs of users. 1.Industrial grade 3.2 inch OLED, real-time display remote control, receiver operating status, provide the fault causes and maintenance guidance method.2.Advanced handle protection keys to enhance safety performance. 3.With the air download function, no need to insert the line, remote upgrade. 5.Remote fault detection, there is no need for the engineer to the scene, just access the network, you can complete the diagnosis, upgrade. 6.720P HD wireless monitoring, built-in XR wireless transmission technology, without wireless signal and signal channel interference, safe and reliable, super stable not dropped. 7.7 inch /9 inch HD display, dual / four screen display at the same time, the display can be adjusted at any angle. 8.Two / four infrared waterproof wireless camera, IP69K waterproof, auto focus, 130 degree wide viewing angle, 850 type infrared night vision function. Technology is from Australia Alpha Industrial Technology Pty Ltd.